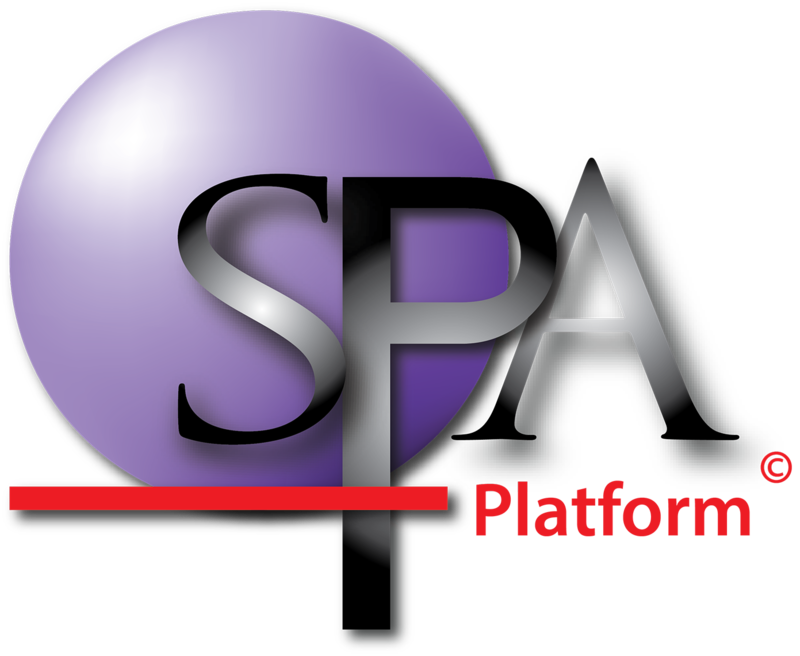 In this section we are going to learn how to import your students into SPAmarkbook. Step 1: Create your Student Import file. 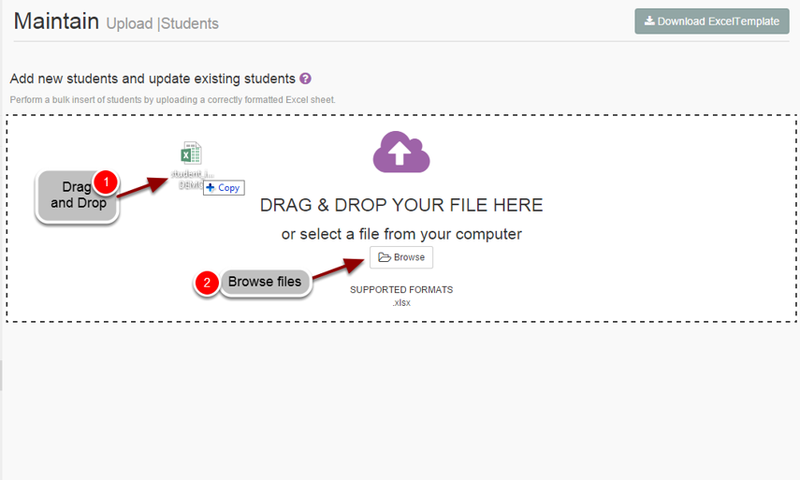 If you have not already created you Student Import file follow this click HERE for instructions. 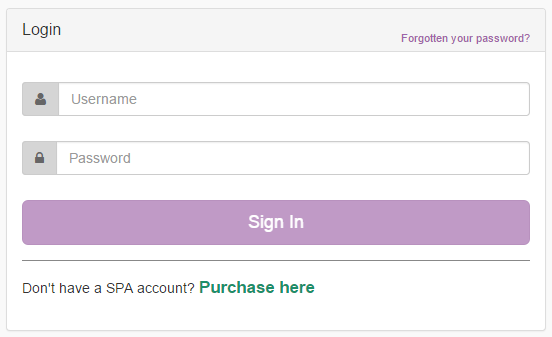 There is two ways you can upload your file. 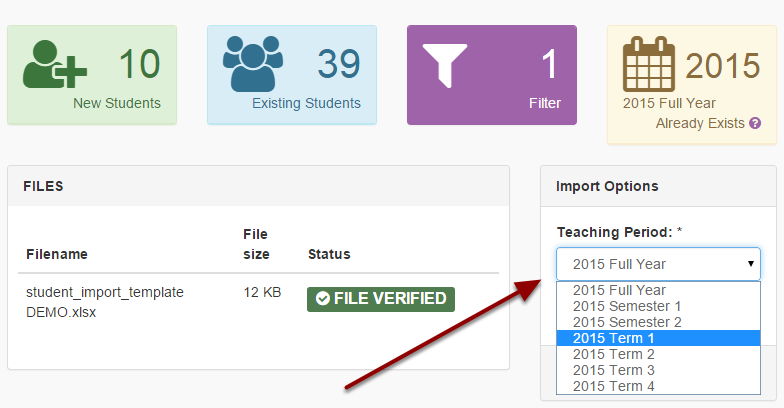 The Verification Screen will give you an over view of the data being imported. 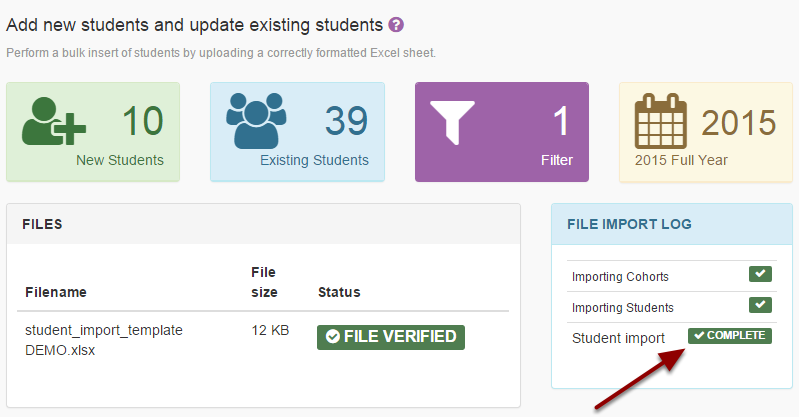 Including The number of new students added, the number of existing student details that will be updated, any filter created and the Year the data is for. Before the file is imported it will be verified to ensure it has all the necessary information. Using the drop down option select what teaching period this file is for. Wait until the file import log shows you that the import has been completed.